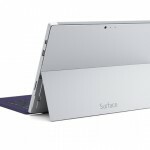 Microsoft has introduced the lightweight tablet- Surface PRo 3 to counter the popularity of Apple’s iPad and MacBook Air laptop. 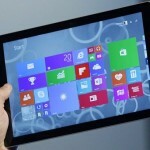 Microsoft is hoping that this tablet will replace the laptops as it has bigger display and runs the full Windows operating system. The price of Surface PRo 3 starts at $799 depending upon its configuration. 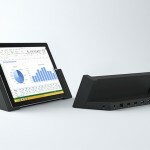 The Surface Pro 3 features a 12-inch full HD display with 2160×1440 pixels resolution and will be offered in multiple configurations featuring 4th-generation Intel Core i3, i5 and i7 processors. 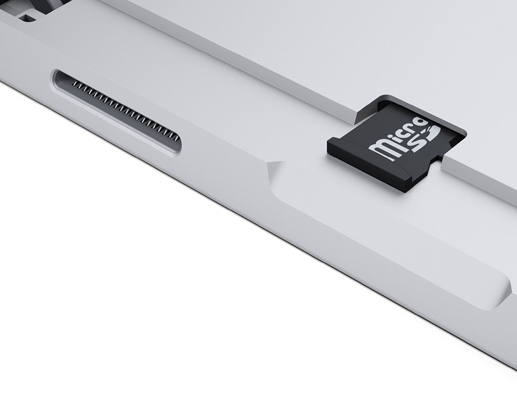 This tablet has upto 512 GB of storage and up to 8 GB of RAM. This tablet also features Dolby Audio-enhanced stereo speakers and is equipped with 5MP rear and front camera capable of capturing 1080p HD video. 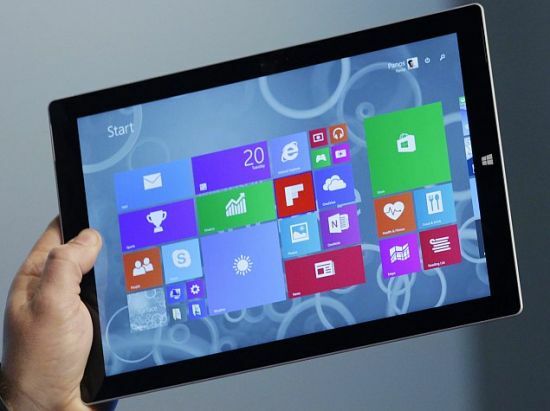 The Surface Pro 3 comes in sleek frame and is just 0.36 inches thin. It has a powerful battery which claims to give nine hours of Web-browsing. The Surface PRo 3 has amazing click-in keyboard, and a multiposition kickstand that goes from movie mode to working mode to writing mode. 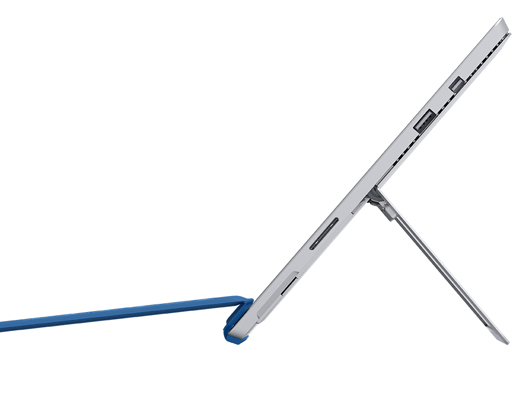 Surface Pro 3 also comes with Surface Pen that is pressure-sensitive and precise. Surface Pen makes it easy to mark presentations, PDFs and documents just like you would on paper. 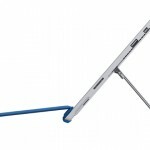 Surface Pen is crafted with a solid, polished aluminum finish, and is designed to look and feel like an actual fountain pen to give you a natural writing experience. 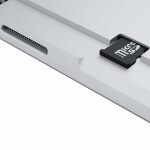 Besides above, the new Surface accessories include the improved Surface Pro Type Cover that will take Surface Pro 3 from tablet to laptop in a snap, and a full-size USB 3.0 port, microSD card reader and Mini DisplayPort allow for quick file transfers and easy connections to a range of peripherals. 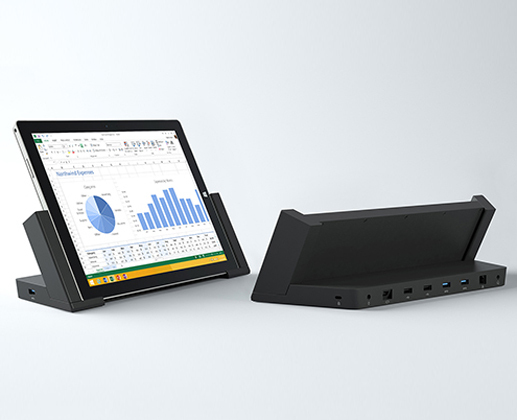 Surface Pro 3 is compatible with Windows software, including Microsoft Office. With Windows 8.1 Pro, you can download apps from the Windows Store and use them side by side with Snap View, or load custom line-of-business apps for enterprises and business use. 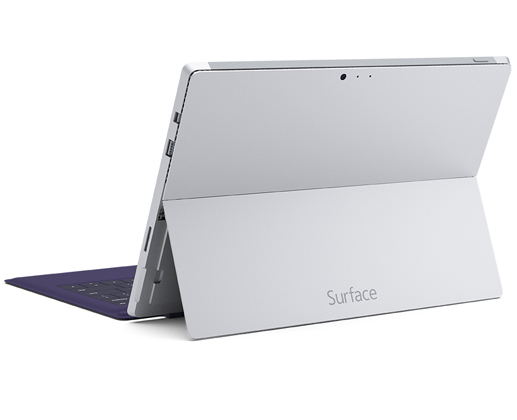 Surface Pro 3, Surface Pro Type Cover and Surface Pen will be available for pre-order starting May 21.